The Great Repeal Bill has finally been published. It’s grab for power from No.10 which is both an assault on parliamentary democracy, and a sharp illustration of the impossibility of achieving a Brexit that is actually good for the UK. It is also the polar opposite of the “take back control” slogan of the Leave campaign. 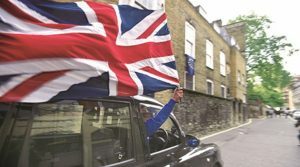 On the face of it the idea is simple: repeal the 1972 European Communities Act, which provided a mechanism to bring into UK law things emerging from the EU, and shift all EU-derived law into British law. British and EU law have been so intertwined for so long that simply repealing everything would create some big holes, so this could be seen as a pragmatic solution. It means that on the day after leaving the EU, UK law would be in the same place that it was the day before. But things are not quite what they seem. The fire at Grenfell Tower is clearly a very serious event. A 24-story building, newly refurbished was engulfed in flames. Advice to people to stay in their flats in the event of fire catastrophically wrong. Reactions to the disaster throw a spotlight on the failings of the government. So far, so bad. There is grief and there is anger. 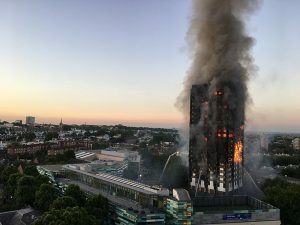 At the time of writing this, it’s not clear whether the fire was a result of building regulations not being followed, or not being sufficient to ensure fire safety. Whatever the actual cause, many people have died nasty deaths. Pulling the lens back from the fire itself, it raises serious questions of government. Under normal circumstances people look to government to provide order and stability. In difficult times governments also have blame and anger projected onto them. I don’t claim to know the inside story of Tim Farron’s resignation, but two things are exercising me about the way it is being reported. One is the perception that this is about Christianity being unacceptable in public life (it isn’t). The other is about the changing sense of where things are for LGBT people in public life (much better than they were). The two are entwined because of the suggestions that Tim’s perceived position on LGBT rights and abortion lay behind pressure for him to resign. I’ve only met Tim Farron once, and am in no position to comment on his actual views on either of these things. 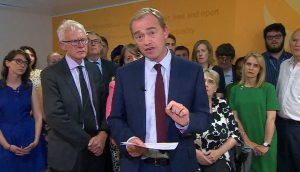 I’d be surprised if someone became leader of the Liberal Democrats who was strongly opposed to either of them, but the perception that Tim is lukewarm on gay rights kept coming up in the 2017 General Election campaign. My sense is that it reached the point when there was nothing he could say that would lay this one to rest because denials were being heard as evidence that there was something to deny. There are plenty of Christians who use their faith to legitimate anti-gay positions, and plenty who do the opposite. A particularly affirming moment in the 2015 campaign came when Adrian Hyyrylainen-Trett, LibDem Candidate in Vauxhall, gave an interview in which he spoke candidly of how he had come to be HIV+. It came across my radar when LibDem president Sal Brinton, Vice-Chair of Christians in Parliament, posted a link to it on Facebook, with an expression of her full support for him.